UnifiedCommunications.com’s customizable web-based portal gives large organizations a powerful way to manage their end users’ communications device selection and procurement. 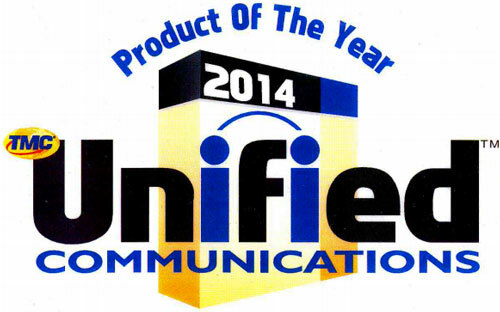 HOUSTON, TX 6/13/2014 — TMC, a global, integrated media company, has named UnifiedCommunications.com’s Global Device Selection and Fulfillment Portal for Lync & UC as Unified Communications Product of the Year Award winner for 2014. UnifiedCommunications.com’s customizable web-based portal gives large organizations a powerful way to manage their end users’ communications device selection and procurement. Having a single device procurement solution for UC deployments, onboarding and routine communications related device purchasing simplifies enterprise level Lync deployments. With the Product of the Year Award, the Portal, soon to be rebranded as UC Direct showcases its uniqueness in the UC space. The Global Device Selection and Fulfillment Portal for Lync & UC is the culmination of a massive 5-year programming effort, and is designed to be intuitive for both the end user and the administrator. With the click of a button, an administrator can ensure users are only served Lync-enabled devices, or manufacturer-specific devices. The end-user is no longer responsible for knowing the details of the decisions and obligations that have limited their selection, allowing deployments to be easy but also seamless from the user perspective. The select catalog offered to the end user allows the device selection process to be both highly customized and streamlined. The responsive decision-tree technology built into this solution is both advanced and adaptive. The administrator crafts a company-specific solution using an intuitive drag-and drop interface. To an administrator, the portal offers a broad range of management capabilities including enabling and disabling product features on the fly; to the end-user, it is a simple QA workflow experience based on the category of products they need, whether it’s headsets, phones, webcams, or video-conferencing equipment to outfit a boardroom. The customized portals create detailed reports on end user habits, allowing for departmental, or user-specific analysis. With the portal’s flexible structure, an organization is able to use the tool to the extent needed. UnifiedCommunications.com is able to fulfill product needs from headset accessories to the deployment of the latest high-end collaboration devices such as Smart, Crestron, or Polycom Lync Room Systems. The portal system can also integrate with a an organization’s internal procurement system including, but not limited to Ariba, SAP, or Oracle. Punchouts to third party sellers allow international fulfillment that accommodate manufacturer restrictions and contractual obligations alike. Additionally, the option to co-brand a portal adds value to the end user. A large Oil & Gas firm, for instance, can integrate its branding so that employees get a streamlined purchasing experience. Notably, the portal device selection and fulfillment platform is also used by System Integrators who are interested in partnering with UnifiedCommunications.com to leverage their device selection assistance for the benefit of their clients. Since traditional SI’s don’t often have a device strategy in place, offering a cobranded portal to their clients completes their proposal. A business tool at heart, the Global Device Selection and Fulfillment Portal for Lync & UC generates reports that offer insight into the end-users’ purchasing habits, allowing SIs (or administrators) to notice client’s trends and respond to their needs. Although the selection and fulfillment portal is a global, web-based solution, UnifiedCommunications.com offers personalized consulting as a side-by-side service. Tele-Communication, Inc, the parent company of UnifiedCommunications.com has been offering high-level communications solutions since 1982. In the years since, the business has evolved with the industry, moving from product-based fulfillment to web-based services that can fill enterprise level needs for the latest collaboration technology. Copyright 2014 Tele-Communications, Inc. All rights reserved. All third-party product and company names are for identification purposes only and may be trademarks of their respective owners.